The Dillinger Escape Plan are to be honoured at this year’s Association Of Independent Music (AIM) Awards. The band, who announced they would go on an“extended hiatus” last year, will receive the Outstanding Contribution To Music prize at the ceremony at The Brewery, Clerkenwell, on September 5. 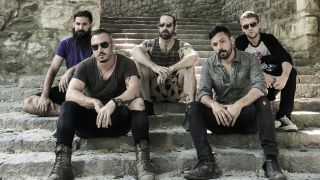 Founding Dillinger Escape Plan member Ben Weinman says: “While major labels have historically spent millions of dollars attempting to influence pop culture, it has been the independent labels of the world that have been responsible for cultural evolution. “Indie labels like Rough Trade, Megaforce, and Sub Pop are responsible for launching the careers of some of the most important and influential artists of all time. “AIM’s support of the UK’s independent music community is not only an important part of our current musical climate but of history in general. AIM Awards judge and Metal Hammer editor Merlin Alderslade adds: “The Dillinger Escape Plan aren’t only one of the most influential heavy bands of the last 20 years, but one of the single most important forces to ever grace our scene. “From their genre-shredding albums that have gone on to inspire legions of bands to their now legendary live shows, they have trail-blazed their way through an incredible career that has united alternative music fans from all walks of life. Previous winners of the Outstanding Contribution To Music award include Billy Bragg, Richie Hawtin, Skepta and Roisin Murphy. Tickets for the night are available via the official AIM website.